Whether you’re searching for sun, sea or sand, Miami provides everything you could want from a vacation. 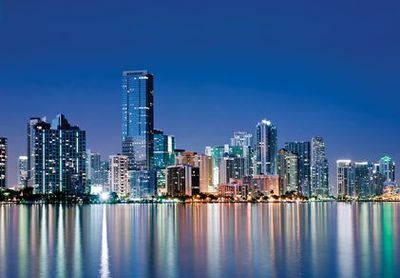 As the principal city of Florida, Miami’s tropical climate and wealth of culture appeals to lone travellers and families alike for all year round excitement. Whether you want a relaxing lounge on the beach or a trip to the wild Everglades, travel in and around Miami by car to make the most of the Sunshine State. Miami’s star attraction is the location with continually sunny weather and temperate ocean waters. The heavenly sands of the South Beach are a hotspot for locals and tourists alike and are a great starting point for any vacation. Overlooking the South Beach is the SoBe’s Art Deco District, featuring 800 stunning buildings and independent shops and cafes. Traverse the district on a walking tour, or take your hire car for a spin along the famous Oceanside avenues. A few blocks back from the beach is the Miami Design District, with the state’s leading shopping malls and outlets to grab a bargain. If you prefer somewhere off the beaten track, take a boat to Key West Island, an affectionate, quirky location with strong Cajun influences and an offbeat appeal. Due to the size of the state, many of the major cities in Florida can be accessed from Miami within three hours by car. For the full experience of Florida, you can drive to Tampa in four hours and the glittering Orlando resorts in just three hours with a hire car. Alternatively, you can drive ten minutes from the centre of Miami to the airport and fly to a variety of American locations. For a walk on the wild side, the city of Miami borders the Everglades. The Everglades is a 1.5 million acre national park comprising of swamps and sub-tropical jungles. Although large expanses are uncharted, there are plenty of family friendly activities such as hiking and camping to entertain and intrigue. You can even pass through the natural beauty of the Everglades by car along Highway 27.